Treat toys for dogs are great toy ideas for several reasons. Did you know that bloat is considered to be the leading cause of death in dogs? For dogs that eat too quickly, treat toys can cause the dog to slow down and as a result gulp less air in. Slowing down a dog's eating is the best way to prevent bloat. Another reason treat toys are great is because they stimulate your dog mentally. Many of the toys are puzzles and cause your dog to use problemsolving skills. A mentally stimulated dog is a happy dog! The idea behind the Nina Ottosson's "Dog Tornado" is for the dog to dislodge the removable bones, then turn the revolving sections to reveal the hidden treats. The Tornado has many variables to increase the level of difficulty as the dog's skill improves. With a little practice he will soon learn to dislodge the bones and turn the Tornado to access the hidden rewards. 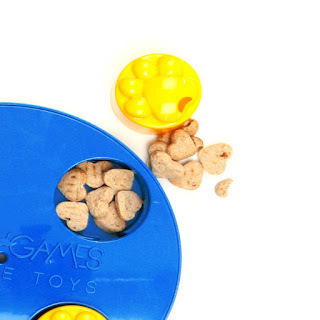 With eight treat or food chambers, Kyjen Dog Games Treat Wheel combines the difficulties of Star Spinner and Paw Hide. 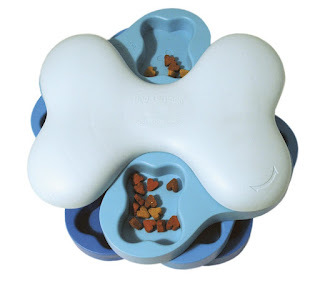 The dog must use its mouth to lift each cup, then spin the top to reveal more treats. Rubber soles prevent slippage. 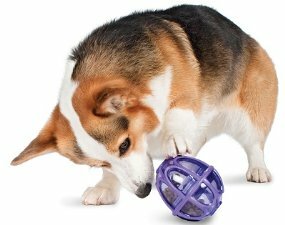 Smarter Toys make their dogs work for their food which provides healthy mental and physical stimulation. 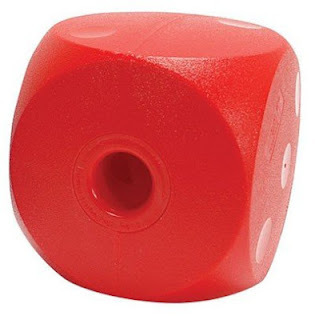 The Buster Food Cube is the most difficult treat dispenser and features an adjustable hole to control difficulty level. 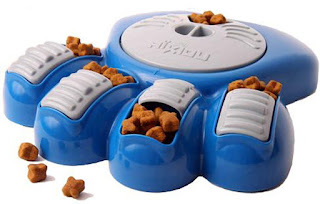 Premier Busy Buddy Kibble Nibble makes dogs work for their food in a fun and challenging way. Mentally and physically stimulates dogs by appealing to their natural prey and stalking drives. Holds approximately 2 cups of food. The Treat Meter on either end of the balls randomly dispenses kibble and treats. The short answer: Lots of reasons. The long answer: Here we go...the first and most common reason cats purr is because they're content. Cats purr when they're happy; some even purr while they eat. If your kitty is laying next to you purring up a storm, you can be pretty darn certain you've got a happy kitty on your hands. It is also possible that cats under stress might purr as sort of a nervous gesture. For example, a cat being brought to the vet might purr even though it is clearly unhappy. It's almost as though the cat is saying, "See, I'm nice! Please don't hurt me." Just like people may smile uncontrollably or laugh inappropriately when we're nervous, some cats seem to purr to try and diffuse a bad situation. There is still much controversy as to how and why the purr evolved. It doesn't seem we'll have a definitive answer anytime soon...so far, no cats are talking. Portland, OR—July 18, 2012—Calling all cat owners: is a trip to the veterinarian a constant cat-fight? Do you sometimes find yourself avoiding routine visits to dodge a cat-tastrophe? Is “stressful” a term you use to describe the process of getting your cat out of the house and into the veterinarian’s office? If so, Banfield Pet Hospital and Animal Planet’s Victoria Stilwell want to hear from you. Banfield Pet Hospital, the world’s largest veterinary practice, and Victoria Stilwell are staging an “inFURvention” to help combat pet owners’ difficulties of getting their cat into a carrier while raising awareness of the importance of regular veterinary visits for cats. Banfield and Stilwell are asking cat owners nationwide to upload videos of their real-life struggles and attempts to get their cat into a carrier for a chance to win a year’s worth of free preventive veterinary care and a special at-home visit and training consultation from Animal Planet’s famed pet trainer, Victoria Stilwell. Of the 86 million felines living as pets in the U.S., an astonishing one-third of pet owners will skip a trip to the veterinarian to avoid the hassle* – yet missing a veterinarian visit could actually cause more harm to the pet. Cats rarely exhibit signs of sickness or disease even when a problem exists; therefore, routine veterinarian visits are essential to protecting pets from life-threatening illnesses. Beginning Wednesday, July 18 through Friday August, 17, pet owners are invited to upload their “real” cat videos to http://www.infurvention.com/, with the tag “#inFURvention” to be considered in need of an “inFURvention” from Stilwell. One pet owner and “inFURvention” video will be chosen to win a year’s worth of free preventive veterinary care from Banfield and a special at-home visit with Victoria Stilwell who will give professional insight into the best tips and tricks to getting your cat out of the house and into the veterinarian’s office. Tips and tricks to eliminating the cat-fight! Basic training tips can ease cats’, as well as cat owners’ fears and hesitations when preparing for a trip to the veterinarian. Banfield’s medical team and Stilwell both recommend scheduling appointments later in the day for a quieter, calmer experience for felines. It is also important to remember that cats are sensitive to smells, so creating a pleasant environment in the carrier is key to helping cats cope with the trip, as well as including familiar objects such as a comfortable blanket to make felines feel more at home. 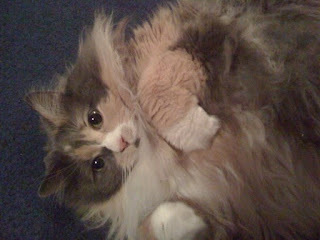 For a full list of tips and tricks to overcoming cat resistance, visit Banfield Pet Hospital online at www.banfield.com. Cat owners are welcome to submit a video for the “InFURvention” program at www.inFURvention.com with the tag “#InFURvention” beginning July 18 through August 17 for a chance at an at home visit with Animal Planet’s Victoria Stilwell. When it comes to tail wags, cats and dogs are polar opposites! We all recognize a dog wagging his tail as a sign of happiness, and it’s easy to assume that the same would go for cats. WRONG. You know cats—nothing can ever be that simple! This kitty is happy and confident. Cats tell us a lot about how they’re feeling by their tail. This “tail language”, once deciphered, is a vital way your cat can communicate with you. 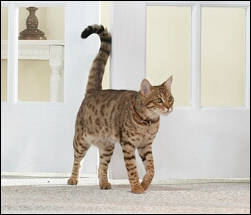 For example, a tail raised high is a sign that a cat is happy and confident. A tail hanging low (and usually accompanying wide eyes and a crouching body posture) is a sign that a cat is nervous, scared, or in distress. Sometimes you may notice that your cat is flicking the tip of his tail ever-so-slightly. This is generally a simple acknowledgment of stimuli in the room such as you talking to him. The cat is signaling that they’re still awake and aware of their surroundings. When the tail begins to flick back and forth more noticeably, this is usually a warning sign from the cat that they are on-guard. You may see this behavior when the cat is a safe distance from a perceived threat (like young children), signaling “I know you’re there, and you probably shouldn’t come any closer.” It can also be seen during playtime or when your cat is watching the birds out the window, indicating the cat is on the hunt for prey. You may also notice heavier tail flicking when you’re petting your cat. At this point, your cat is politely letting you know that she is beginning to get a little irritated with you, so you may want to scale back a bit and give kitty some space. If tail flicking escalates to tail wagging, your cat is trying to give you a very clear signal: “Knock it off, and get away from me!” The tail may whomp audibly back and forth. If your cat begins to rapidly wag its tail rapidly from the base while you are petting him, stop immediately. If you don’t, there is a high likelihood you’re about to get bit! You may see tail wagging accompanied with the cat flattening its ears onto its head; the cat is taking an aggressive stance. Never approach a cat displaying this posture, as they are likely to attack at the drop of a hat. If you see your cat displaying this posture towards another cat or pet, it is natural to want to step in between and “break it up.” Do this, and you may wish you hadn’t! Use something neutral like a pillow or towel to put between, if you absolutely must diffuse the situation. 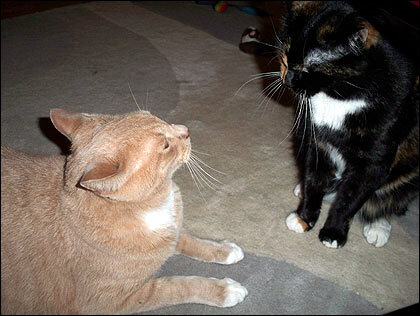 If two cats are posturing to each other in this manner, it’s usually just that…posturing. The posturing may be followed by a little paw boxing and growling, but frequently one cat will back down and walk away. In a multi-cat household, cats must constantly reinforce the feline hierarchy. Unfortunately, this means there are bound to be altercations now and again. It’s usually not necessary to break it up, but if a cat is at risk for injury you might have to. Sometimes while your cat is being pet or just laying next to you, you may see her tail leisurely and slowly moving from side to side. This is a sign that your cat is relaxed and content. If the pace of the tail movement begins to pick up to a more irritated pace, back off. 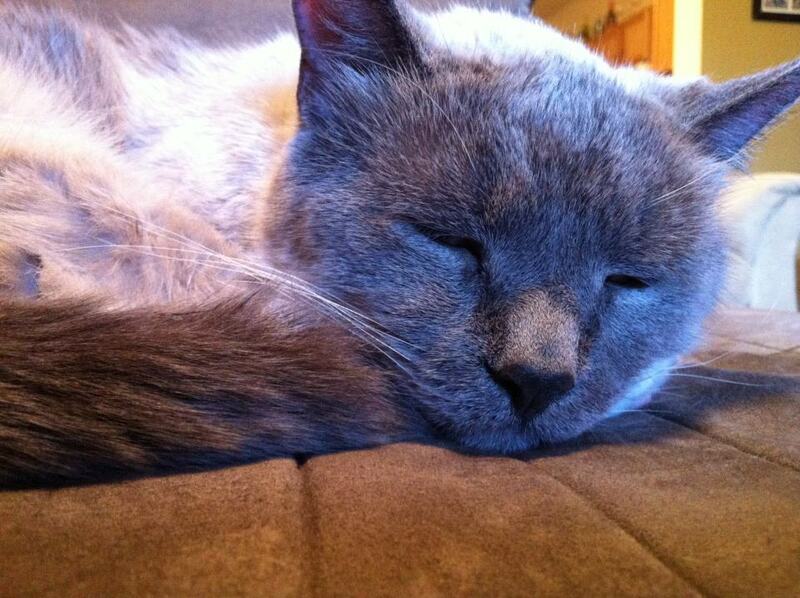 Cats are fickle creatures, and relaxed contentment can move to irritation fairly quickly. Get to know your cat’s tail signals, and you’ll be able to tell for certain when she’s had enough! Just like people, every cat has a unique personality and varying degrees of patience and tolerance. There is no “one size fits all” when it comes to how much petting is too much petting, or which areas of the body are off-limits for petting. Learning where your cat’s limits are and reading body language will go a long way in building a mutual respect and trust between you and your cat. See also: Why does my cat roll over, then bite me when I pet his/her belly? Pet shelters are often underfunded, leading them to not be able to accept all of the animals that need a place to stay. One of the best ways to show that you care for pets in your community, outside of adopting them of course, is to organize a fundraiser that benefits the shelter. There are many types of fundraisers to choose from, but they all involve the same basic set of steps you'll need to do for a successful event. 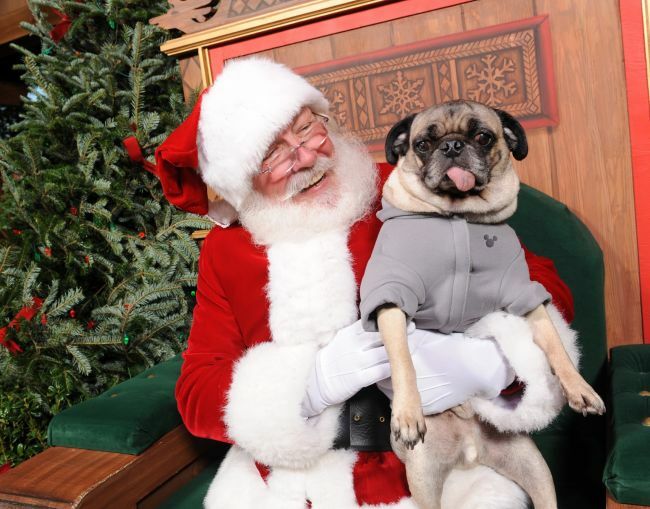 Photos with Santa is always a popular winter fundraiser. 1. 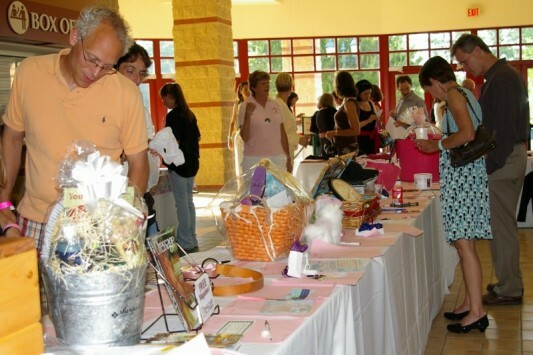 Choose an Event Type: Your fundraiser can be anything from a family fun day with a prize raffle to a fancy dinner gala complete with live entertainment. One popular type of event is a road race that people pay to enter and run, either with or without their pets in tow. 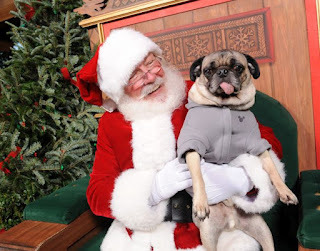 Another fun event is a pet photo day, with a local photographer collecting donations for taking photos of pets and sending the digital photo to the owner through an online hosting service. The most important thing is to choose an event that people will pay for, but that will leave you with money to donate to the local pet shelter after paying the expenses. 2. Pick a Date and Location: Check your city's events calendar to choose a date when there is not another major event occurring. For example, you don't want to be competing with a large festival or a big sporting event. You should also choose a date at least one month away to give yourself adequate time to develop public interest and plan the event. Potential locations include city parks, the shelter itself and event facilities. Make sure you have the proper permissions or permits for your chosen location. 3. Advertise the Fundraiser: You're not going to raise any money if nobody participates in the fundraiser. Some of the best ways to advertise include word of mouth, invitations through the pet shelter, social media, flyers around the neighborhood and posting it on animal advocacy networks. Include the type of event, time, date, location, cost, shelter name and contact information so people can get answers to any questions they may have. for successful and lucrative fundraisers. 4. Plan the Logistics: The most complicated part of organizing a fundraiser is nailing down all of the details necessary to have a smooth event. Some of the things you may need to arrange include catering, a sound system, decorations, donations of raffle prizes and additional volunteer assistance to make the event run smoothly. Making lists and thinking through each attendee's experience of the event, from start to finish, will help you get all of the details into place. 5. Host Your Event: After planning your fundraiser, it's time to step up to the plate and actually put on a great event. Make sure to have fun with it, because your enthusiasm will be contagious among the attendees. The most successful fundraisers are often ones that people really enjoy. 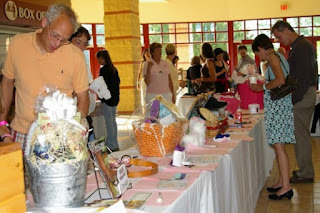 Many people who organize a pet shelter fundraiser go on to repeat it year after year to continue raising money. Your local shelter is sure to appreciate the help, and you'll also be able to advocate for shelter pets and increase awareness among the general public. Contact your local shelter today to get started organizing a fundraiser for them. When we think about getting sick, we think of boxes of tissue, days spent in bed, chicken noodle soup, and, for pet owners, a warm nose snuggled up next to you. Pets have a way of just making a sick day at home that much better. It's a widespread fact that people who have four legged companions live longer, healthier, and happier lives. That being said, there are times that our loving animals feel under the weather along with us. There are many different human and pet illnesses that cannot be passed from one of us to the other. So, if your cat or dog has the sniffles or a cough, it's most likely that you have no worry of catching it—but, there are several illnesses that can be passed from pet to owner and owner to pet. Keep these three illnesses in mind next time you or your pet are feeling ill. Being educated on what can affect your pet and yourself as a pet owner is the best defense. humans and animals can become infected with scabies. For the most part, our pet cats and dogs have little to worry about when it comes to mange. Indoor cats that are well kept will very rarely get mange or scabies, but it can be fairly common in dogs. The mange that is also known as scabies is highly contagious to humans and can be contracted by dogs as well. 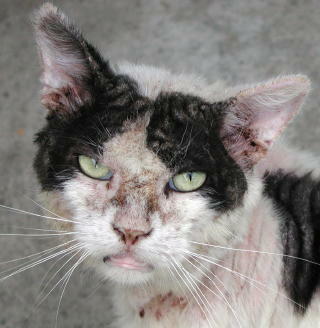 This mange is caused by mites and will appear with symptoms of severe itching, skin irritations, and hair loss. In both dogs and humans, scabies should be treated as quickly as possible. While the illness itself is not immediately threatening, secondary infections can occur quite easily with open sores on the skin. This kind of mange can be avoided with careful hygienic care and some general attentiveness to your pet's skin condition. The mites that cause mange are commonly found on the ears, face, and extremities. While this parasite can be found in any warm-blooded animal, cats are one of the most common pets to come into contact with it. Cats make ideal hosts for the toxoplasmosis parasite. Cats will become infected by preying on infected birds or rodents and will show no symptoms of the disease, making it extremely challenging to detect. Many people are exposed to the disease without ever showing symptoms or even knowing. However, in individuals who have weakened immune systems or are pregnant, toxoplasmosis can cause headache, sore throat, muscle pain, fever, and general malaise. Humans come into contact with this illness through infected kitty litter. The classic ring-shaped patches characteristic of ringworm. To the surprise of many, ringworm is not actually a worm or parasite, but actually a fungus. The name comes from the commonly ring-shaped display the fungus gives on the skin. Ringworm can be transmitted from pet to human or from human to pet very easily. It is a slow growing fungus that feeds on dead skin cells and the hair of all species of mammal. The most common form of ringworm is often found on young cats and dogs. The spores can be transferred easily from one surface to another. On pets it appears as a dry, oval, scurfy patch of broken fur. This is one of the most common diseases transferred from pet to human and human to pet of all the illnesses on this list. Keep these three things in mind to better care for yourself and your pet. Today's guest post comes courtesy of Amelia Wood, who often writes about medical billing and coding certification and welcomes your responses at amelia1612@gmail.com. Want to try this great new product for FREE? All you need to do is leave a comment on this post telling me why you'd like to win a free bottle of Non-Toxic Spot Shot Pet Aerosol! The giveaway begins today and ends at 11:59 Central Time on July 16, 2012. Contest is open to US residents only. I'll then be drawing a random winner from all the entries. If you just can't wait to try it out, Walmart currently carries the new Non-Toxic Spot Shot Pet Aerosol and you can download a $1.00 off coupon at: http://www.coupons.com/. Pet safety during summertime is always important, but the intense heat this year can make practicing hot weather safety a matter of life or death. Pets are like family members and you want your pet to be happy and comfortable. If you have an indoor or outdoor cat or other pet, it's important to consider how you can keep your furry friend safe on days when the temperatures rise above your pet’s comfort level. These tips can help you be proactive about your pet's safety, while allowing your cat to stay comfortable throughout the summer. • Providing a Cool Place to Rest. A cool, shady place to lie down is important for outside pets. A dog might appreciate having a kiddie pool to lie in, but a cat probably won't use one. Cats and dogs alike will seek out cool areas in a shady garden where the soil is naturally cooler. Cement areas in the shade also provide a nice area to keep cool. ﻿﻿﻿﻿﻿﻿﻿﻿﻿ • Sufficient Water. Water is important to keeping your pet cool on a hot summer day. Change the water frequently to keep it fresh and as cool as possible. Toss ice cubes into the water for an extra cool treat. • A Way into the House. A pet door provides your dog or cat with a way to get inside where it's cool. 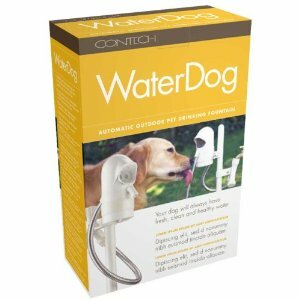 This is especially helpful if you’ll be away from home while your pet is outside. • Keep it Cool with Air Conditioning. Set the air conditioning at a comfortable temperature so your pet can keep cool while you're at work. To ensure your air conditioner provides as much cool air as possible, change the filter at least once a month. • Fresh Water Daily. Sufficient water supply indoors is just as important as it is outdoors, even if the temperature is cooler. It's better to err on the side of caution and leave out a bowl of water that's too big than to return home and find your pet's water bowl completely empty. • Close Pet Doors While Away. It's wise to close or lock the door to prevent your furry friend from going outside on extremely hot days. Most dogs can make it for several hours before they have to go to the bathroom. If you have a puppy or older pet, hire a pet sitter to let them out once a day. Some cats enjoy going outside, but it's not necessary since a cat can use an indoor litter box. Most pet owners have good intentions and don't set out to put their pet at risk of heat exhaustion. As much as your pet might enjoy car rides, it's best not to bring your dog or cat in the car with you unless you can bring him or her inside once you arrive at your destination. The temperature of a closed car, or even one with the windows cracked open, can get hot fast and put your pet in potential danger. If your cat shows signs of heatstroke, such as heavy panting, drooling, staggering or disorientation, wrap his or her body in cold, wet towels, mist with cool water and place an ice pack nearby. Quickly take your pet to the veterinarian to get life-saving, professional care. Fast action is imperative to safeguard your pet's health. The best approach to heat-related safety issues is one that's proactive. Know how to keep your pet cool and follow through with it each day. Cameron Tyler loves his pets and replaces his air filters every month to make sure his pets stay nice and cool in the summertime.